Welcome to this majestic country house in Son Servera. 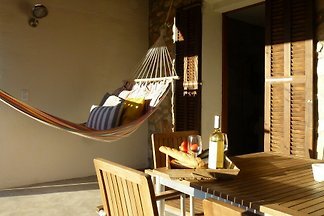 It offers accommodation for 6 guests and a wonderful private pool with beautiful views to the mountains. This beautiful holiday home is located in Port Verd, in a rural and well-kept residential area. Are you up for a fantastic holiday on Mallorca? Welcome to this beautiful and charming country house with private pool on the outskirts of Son Servera, where up to 6 guests find their second home. Welcome to this lovely house for 8 people, which is located on the top of a hill, just by Pula Golf in Son Servera. from 5 2 holiday homes & accommodations in Son Servera were rated with an average of 4.4 out of 5 stars ! Rent successfully your holiday flat or holiday home in Son Servera in only 20 minutes !